Each of our beautifully decorated, well-appointed room is the perfect blend of tasteful design and comfort. Situated on 7 picturesque acres 10 minutes from downtown Kingston. Beautifully decorated rooms & suites. 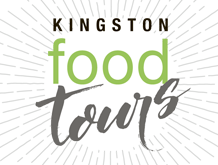 Our Kingston accommodations offer “… all the attention to detail of a fine Country Inn!” Contact us if you’re looking for a Kingston Hotel, Motel or Inn on your next visit to the Limestone City!